Mastodons were elephant-like mammals that became extinct about 10,000 years ago. No one knows exactly why they went extinct, perhaps hunting caused their demise. Or they may have succumbed to rapid climate change as ice caps rapidly melted across the northern hemisphere. During its lifetime, the Mastodon would have been living in a climate somewhat colder than our own, feeding on conifers and marsh vegetation. Its thick coat would have protected it from the cold. Evidence that mastodons roamed the forests and grasslands of the Maritime provinces comes from the discovery of partial skeletons and teeth. In 1991, a partial skeleton of an adult male was unearthed in the Gypsum Quarry in Milford, Nova Scotia. About 80,000 years ago this male mastodon fell into a sinkhole, broke its leg and drowned. Thousands of years passed and the sinkhole filled with vegetation and sediment, preserving the mastodon in dark clay. Archeologists at the Nova Scotia Museum recovered the mastodon skeleton from the Milford quarry and studied the bones. More recently, in May 2014, mastodon bones were found at Little Narrows gypsum quarry in Cape Breton.This important find is further evidence that mastodons existed throughout Nova Scotia. What did mastodons look like? Although mastodons were big, by human standards, being about 3 metres tall at the shoulders, they were only about two-thirds as large as an average elephant. But they had imposing tusks, up to 3 metres long, that swept forward rather than downward. They weighed between 4-5 tonnes. Mastodons that did not succumb to disease or injury could live for about 55 years. 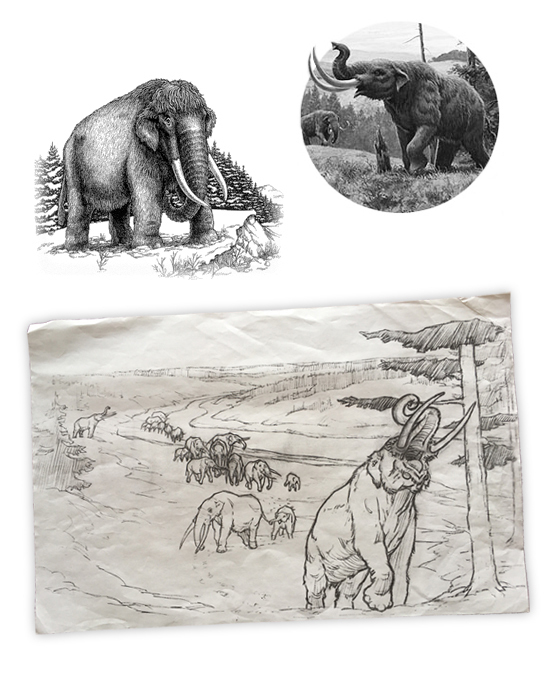 Interested in learning more about mastodons? 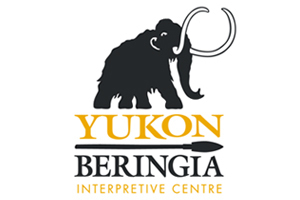 Click to download a pdf of Beringia Research Notes on the American mastodon.